Who doesn’t enjoy a little sparkle? We know we previously discouraged the use of glitter because it’s bad for the environment. And it still is, considering most commercial glitters are still made of microplastic. The good news is that there was one British scientist so dedicated to the art of sparkle that he found an environment-friendly way to make glitter. Said British scientist is named Stephen Cotton. Cotton turned to the eucalyptus tree and aluminum to create a biodegradable glittering alternative. He metallised the eucalyptus tree extract with a thin layer of aluminum, colored it, and voila! A guilt-free way to achieve that twinkle. After these glitters are applied on your face or put on paper, they’ll be safe for consumption of sea creatures or other animals that come by it. See, it’s safe for your dogs, too. 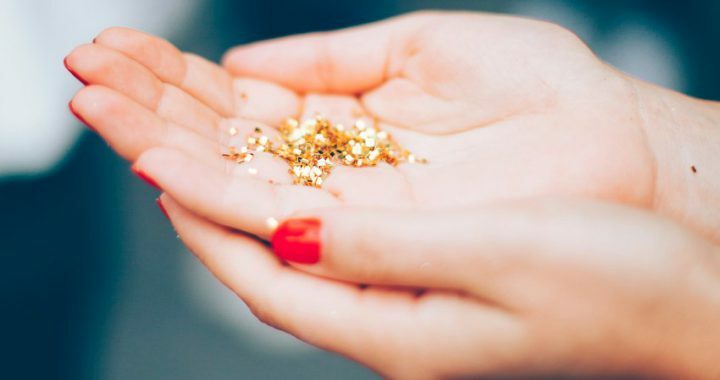 There have been a number of brands selling the biodegradable glitter since the whole fuss about ocean life and microplastics. Some of these are EcoStardust, Eco Glitter Fun, and GLITTEREVOLUTION. The bad news is, all of these brands are based abroad and the biodegradable glitter isn’t available here yet. In the meantime, you can drop by at Lush, where the products have been switched to synthetic, biodegradable alternatives (i.e. synthetic mica, mineral glitters, and natural starch-based lusters).